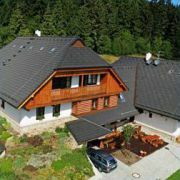 Guest-house 2km from the winter ski resort Zadov-Churáňov, in the elevation 900m, in quiet location by the wood … More » . The whole komplex comprises 2 sports-grounds for ball-games, the outdoor swimming-pool 20x13m with filtration, enough parking and recreation space, cycling routes. 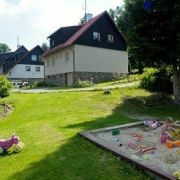 The most cheap accommodation at Sumava – under mountain Javornik (1054m), wooden cottage near wood and lake, own … More » toilet, kitchen, cooler. 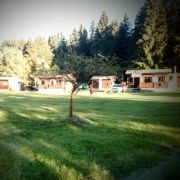 Half board possible, golf, horse back riding, biking, tourist ways. We accept caravans and tents. Ideal also for family celebrations with barbecue. The chalet offers combination of Šumava nature and comfortable accommodation, elegant nad very spacious interiors … More » . Relaxation zone, fitness. Personal approach, pleasant atmosphere, good choice if you are looking for something special.